The coal-fired Plant Scherer in Juliette, GA.
President Donald Trump touted the opening of a new coal mine in Pennsylvania as evidence that his administration is "putting the miners back to work." But construction of the mine in question began before the 2016 election. And experts say it's not evidence of a resurgence in coal mining. The U.S. has added about 1,000 new coal mining jobs since Trump became president, part of a modest 5 percent increase since a modern low of 48,300 jobs in October. But the current number of coal mining jobs, 51,000, is 43 percent lower than in January 2012. Industry experts do not anticipate a return to that level, even with Trump's efforts to roll back regulations. Trump has twice referenced the new mine in Pennsylvania as emblematic of a new trend. The first came during the president's June 1 speech announcing the U.S. would withdraw from the Paris climate accord. Trump, June 1: The mines are starting to open up. We're having a big opening in two weeks. Pennsylvania, Ohio, West Virginia, so many places. A big opening of a brand-new mine. It's unheard of. For many, many years, that hasn't happened. They asked me if I'd go. I'm going to try. Trump again referenced the mine opening a week later during a speech in Cincinnati. Trump, June 7: Next week we're opening a big coal mine. You know about that. One in Pennsylvania. It's actually a new mine. That hadn't happened in a long time, folks. But we're putting the people and we're putting the miners back to work. Trump did not name the Pennsylvania mine, and the White House did not respond to us. But these kinds of events are rare enough that it is clear he is referring to the June 8 grand opening of the Corsa Coal Company's Acosta Deep Mine more than 60 miles southeast of Pittsburgh. What did Trump's presidency have to do with its opening? Nothing. Development of the Acosta mine began in September, two months before the presidential election. "Some of the things this current administration are working on should accrue to the incremental benefit of coal mining," said Matthew Preston, an analyst at the consultancy group Wood Mackenzie. But he said it was hard to believe any actions of the Trump administration had anything to do with the Acosta mine. "It takes years of planning to put a new coal mine on line," he told us. Also of note, the Acosta mine is for metallurgical coal, which is used to create iron and steel, as opposed to thermal coal, which is used to generate electricity. Only about 10 percent of coal production in the U.S. is metallurgical, Preston said. Demand for metallurgical coal has spiked recently, as Corsa explained in a November financial report, due to "production difficulties in China and Australia, and signs of improvement in global steel pricing." "Extreme global shortages of metallurgical coal have caused prices to increase 250% since earlier in the year ," Corsa CEO George Dethlefsen said in the report. Hence the decision to develop the new Acosta mine, which is expected to create as many as 100 jobs. At the opening of the Acosta mine, Dethlefsen praised Trump's agenda to lower regulation and taxes, calling it an end of the "war on coal." And he said the company planned to open two more metallurgical coal mines in the next two years. "The opening of the Acosta mine has nothing to do with U.S. federal policy," Trevor Houser, a partner with the economic research company Rhodium Group, told us via email. "The mine produces metallurgical coal used for steel making. Chinese and Australian mining supply cuts have pushed up the price of metallurgical coal around the world, making US production economical." The longer-term forecast for metallurgical coal is not as rosy. The U.S. Energy Information Administration projects that while metallurgical coal exports from the U.S. are expected to rise for several years, the long-term trend through 2050 is relatively flat. And as we noted earlier, the bulk of U.S. coal production — about 90 percent — is thermal coal, used to generate electricity. And it has not been doing well at all in recent years. According to the Energy Information Administration, coal consumption by the electric power sector declined by nearly 18 percent between 2012 and 2016. An April report from Columbia University's Center on Global Energy Policy documents the massive job losses in the coal industry over the last six years. By the end of 2015, the report states, "the industry had collapsed, with three of the four largest US miners filing for bankruptcy along with many other smaller companies." The authors said the main culprit was the surge in cheaper natural gas production driven by the shale revolution and competition from renewable energy. Environmental regulations — which Trump has targeted — also hurt coal mining, but were a "significantly smaller factor." Columbia University study, "Can Coal Make a Comeback? ": Increased competition from cheap natural gas is responsible for 49 percent of the decline in domestic US coal consumption. Lower-than-expected demand is responsible for 26 percent, and the growth in renewable energy is responsible for 18 percent. Environmental regulations have played a role in the switch from coal to natural gas and renewables in US electricity supply by accelerating coal plant retirements, but were a significantly smaller factor than recent natural gas and renewable energy cost reductions. At best, the report concludes, Trump's efforts to roll back regulations on coal production would only "stem the recent decline in US coal consumption," and even then only if natural gas prices increase in the future. The report concludes: "President Trump's efforts to roll back environmental regulations will not materially improve economic conditions in America's coal communities." 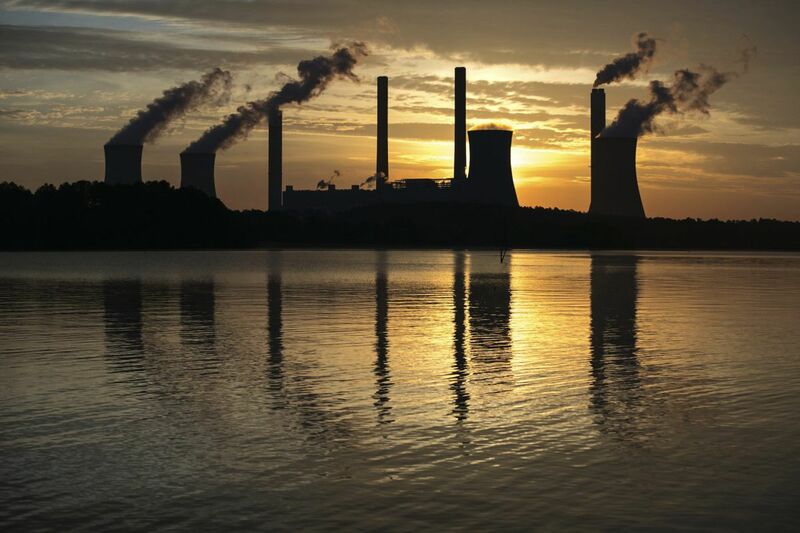 An April report from the nonprofit Institute of Energy Economics and Financial Analysis also forecast tough times ahead for the coal industry. While generation at some coal-fired plants around the U.S. has increased during the first quarter of 2017, there is little reason to believe that this represents a long-term trend or anything resembling a recovery for coal. Indeed, the transformative shift in electricity generation across the U.S. is likely to continue as intense cost competition from renewables and natural gas continues a trend toward more coal-fired plant closures and has even led to some nuclear plant retirements over the past few years. — At least 46 coal-fired generating units at 25 electricity plants in 16 states will likely close, convert to natural gas, or be intentionally curtailed in 2017 and 2018 as the U.S. electricity sector moves increasingly away from coal and toward other sources of power. And even if demand for coal rises and more mines are developed, that won't necessarily translate to more jobs. "If Trump brings back the coal, it's not going to bring back the jobs," Jay Apt, an energy policy professor at Carnegie Mellon University, told the Washington Post. "Those jobs are gone, automation has seen to that." In other words, the Acosta mine is not a good bellwether for the coal industry as a whole, or the prospects for coal mining jobs.